For many, insurance is a confusing subject, so it is important to have an agent you can trust and easily work with. It is critical, too, to have needed coverages for the best premium possible. That’s where a well-qualified, service-oriented independent agent comes in. Work with many carriers. Instead of shopping yourself, independent agents do it for you. You answer the necessary questions just once, rather than repeatedly to different companies. What a time-saver! Find the best value. Independent agents quote coverage from multiple companies and recommend where you will get the “best bang for your buck.” They explain the coverages and may suggest some to keep in mind for the future. Know the industry. Independent agents track insurance industry trends and can tell you about possible changes ahead. They serve as great resources when you have insurance questions about a new car or home, or even estate situations. Remarket coverage. Independent agents continually monitor claims coverage, cancellations, non-renewals and premium rates. If you need to consider another, more-competitive carrier, independent agents can review coverage with other carriers with little effort on your part. 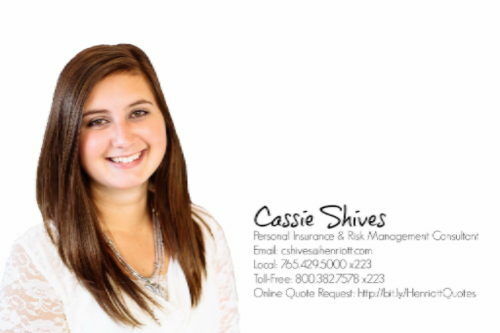 Handle all your insurance needs. Your independent agent can line up coverages for your home, apartment, condo, auto, personal articles, watercraft, motorcycle, RV, comprehensive umbrella policy and more. Your independent agent’s job is to make your life easier – as far as your personal insurance goes, anyway. If you are interested in learning more about the benefits of working with a quality independent insurance agent, contact Henriott Group today.